Omega 3 in fish shaped. Red capsules of Fish oil. Omega 3 in fish shaped. 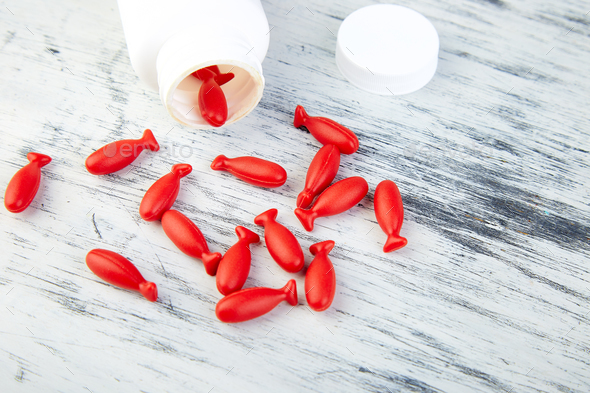 Red capsules of Fish oil in bottle on white background. Copy space.